A week or so ago I was lucky enough to attend two wonderful symposia in two days; the first was the UKLA/BERA research symposium on Play, Playfulness and Literacy at the Open University in Camden and the second was the Cambridge-Homerton Research and Teaching Centre for Children’s Literature international mini-symposium on Digital Literature for Children. Both days were packed with presentations that drew on a variety of disciplines to describe and analyse play, playfulness, literacy and learning in a world that is increasingly digital. Instead of understanding Gareth’s watching of these videos as vicarious consumption, Jackie pointed out that contrary to expectation the data she gathered didn’t suggest that Gareth was watching EvanTube because he desired the featured Lego products. Instead he seemed to engage as a ‘cyberflâneur’ (Goldate, 1997; Hartman, 2004), wandering through this online space guided by recommendations and hyperlinks. She postulated that what he enjoyed about EvanTube was the shared community of discourse built up around Lego products that extended into his offline Lego play and reading as well as into the videos he uploaded onto his YouTube channel. This preoccupation with unpacking and analysing the nature of the interaction between the child and the digital content was something that a number of presenters in Cambridge picked up on. 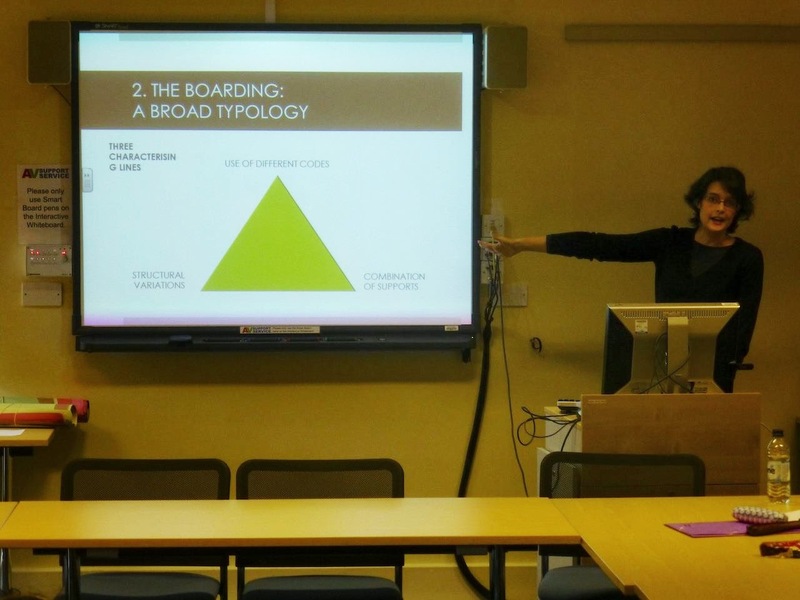 A number of talks by PhD students at the beginning of their research focused on exploring different theoretical lenses that could be brought to bear on this interaction. Aline Frederico (University of Cambridge) offered a wonderful synthesis of how multimodal semiotic analysis could be used to analyse digital picturebook apps and Yan Zheng (University of Glasgow) thought through how we might be able to borrow terms from game studies. Amy Nottingham-Martin (University of Worcester) examined some of the benefits that might be gained through employing performance theory when considering digital picturebook apps. She proposed the term ‘rea-player’ (reader-player) as a way of opening up our understanding of readership to include more playful behaviours. This was something that Dr. Vivienne Smith (University of Strathclyde) was also anxious about, asking her audience in London to reflect on how dominant discourses in schools continually conceive of reading as a necessary skill rather than a playful act. The idea of reading as a playful and at times subversive act is something that is explored extensively in children’s literature scholarship and it was interesting to see how Dr. Ghada Al-Yagout (PAAET, Kuwait) and Sophie Clark (University of Cambridge) began their separate talks by reiterating what we know about the affordances of the picturebook form. Moving from an understanding of the picturebook’s interactivity to a consideration of how digital picturebook apps reduce or enlarge on this complexity enabled useful continuities to be traced. However, one thing that Celia mentioned at the beginning of the international mini-symposium in Cambridge was a warning against using the term ‘digital picturebooks’ because it could lead to blinding researchers to the possibilities available. One of the main topics during the roundtable discussion at the end of the day was whether the term ‘app’ could be used instead or if it would be too permissive. This question becomes especially important when we start to think through the enormous cultural capital inherent in games and gaming, which is what Prof. Andrew Burn (Institute of Education, UCL) did at the UKLA/BERA research symposium in London. His talk transitioned smoothly between a discussion of playing and creating games in the playground to playing and creating games on the computer. Andrew reflected on how contemporary playground games continue to incorporate and revise media sources, showing how children brought gaming aspects into their play by imposing an imaginative overlay on the tarmac of their East London playground and thereby transforming it into the desert landscapes of a first-person shooter game (Children's Playground Games in the New Media Age). He then went on to demonstrate how these skills could be used within the classroom as a way into understanding story plots and character motivation by drawing on a recent project called Playing Shakespeare (2012) if children were trusted with space and time to create their own playful responses. However, this isn’t always easy and Andrew drew on Brian Sutton-Smith’s (1997) rhetorics of play to show how play is always at once progressive and risky. As a society we are continually made aware of the risky or dangerous elements of gaming but perhaps we have conveniently forgotten that reading and literature also has a long history of mistrust that continues to surface in figures like that of Ginny Weasley and her dangerous reading of Tom Riddle’s Diary (as opposed to Matilda’s healthy consumption of library books). 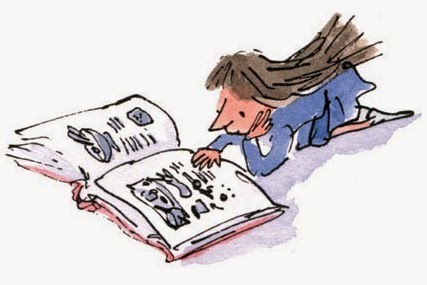 Dr. Clementine Beauvais (University of Cambridge) examines the two sides of our fascination with children reading in her upcoming article for the Cambridge Literary Review (CLR 8) and suggests that our delights and anxieties stem from an inevitable lack of control. If we’re serious about the importance of play and playfulness in children’s (and adults?) literacy practices then maybe we need to be more willing to loosen up the stranglehold on what ‘counts’ as literacy in schools and on our screens. And who are we to stop that?